Writing down your thoughts and fears can be empowering. If you’re dealing with depression or anxiety — or just looking to boost your everyday wellbeing — starting up a bullet journal could revitalize your mental health. Part planner and part diary, bullet journals are often used to help people get organized so that they’re better equipped to reach their goals. They can be an amazing tool for creating healthy changes, adopting new habits, and keeping track of the tasks you’ve accomplished each day. A bullet journal can also be a major boost to mental health by being a place to record your thoughts and feelings. By using your journal to process your everyday emotions — and track your efforts in managing your depression and/or anxiety — you’re likely to feel more empowered and in greater control of your mental health. In recent decades, a number of studies have shown that writing about your emotions can deliver considerable benefits. In a study published in the Journal of Affective Disorders in 2013, for instance, 40 people with major depressive disorder either engaged in “expressive writing” which involved writing about their deepest thoughts and feelings surrounding an emotional event or simply wrote about a non-emotional event that had taken place. After completing a 20-minute-long writing session every day for three days in a row, those who wrote about their emotions showed a significant decrease in depression. 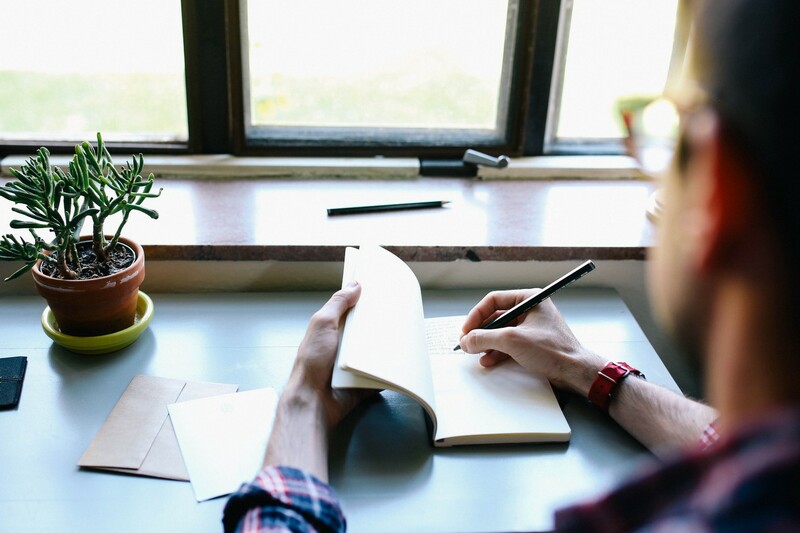 It’s thought that journaling can benefit your mental health in part by helping you confront and release negative emotions, such as fear and anger. Journaling can also help you to gain more clarity about your emotional state, as well as allow you to identify harmful behaviors (and explore ideas on how to change those behaviors). And with a bullet journal, you get the added bonus of closely tracking factors like your daily symptoms and triggers — an essential part of understanding and better managing your mental health. You can use any notebook and a pen to get started. There are countless online resources that can show you step by step how to set up a bullet journal (including the website of Ryder Carroll, the Brooklyn-based designer who developed the system). You can also look at Pinterest and Instagram for inspiration (hint: try searching the hashtag #BuJo). Just don’t get overwhelmed by the fancy designs — while you don’t need to draw or create elaborate layouts, many people find drawing in their journal a satisfying creative activity. Once you get working on your bullet journal, focus on the mental health goals you’d like to fulfill. These can be short-term goals (e.g., things you’d like to accomplish within the next six weeks), long-term goals (e.g., things you’d like to accomplish within the next two years), or — ideally — a combination of the two. Try to make your goals as specific as possible, so that it’s easier to break each down into smaller, more manageable pieces. If you have trouble coming up with goals, try stepping back and taking an inventory of the different areas in your life as a starting point. One of the most common features of a bullet journal, a daily log lets you outline the tasks you’d like to accomplish each day. While the daily log typically acts as an overall to-do list, it also gives you a great opportunity to build healthy habits into your daily routine. For example, you might consider filling your daily log with items such as going for a walk in a nearby park or other green space, taking 15 minutes to meditate, or making plans with a close friend — all of which can soothe your stress and lift your mood. By filling out your tracker each day, you can soon identify patterns and gain valuable insight into the behaviors that impact your mental health. Since monitoring your mood is key to managing your mental health, you might want to create a separate chart that serves as a tracker for your moods. Some trackers simply involve assessing your mood on a scale of 1 to 10, while others highlight specific feelings (e.g., angry, calm, annoyed, excited) and encourage a more detailed evaluation of your emotional state. Try filling out your mood chart at certain times each day, such as when you wake up, during your lunch break, and before you go to bed. An emotion may not happen as a result of a stressful situation or event, so don’t be hard on yourself if you can’t identify a trigger. Creating a bullet journal that best suits your style and personality is crucial to keeping up with your journaling. To that end, it’s up to you to decide which features you’d like to add to your bullet journal. Beyond the basics like a daily log, that could include such items as a gratitude list, a round-up of suggestions for self-care strategies, and pages where you can write freely about whatever’s on your mind. As you build your bullet journal, remember that it can also enhance your experience with therapists and other mental health professionals. In addition to sharing any journal-related insights with your care provider, you can use your bullet journal to process your latest therapy session and hone in on what’s most important to you in working toward better mental health.